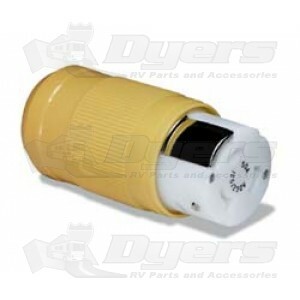 This 50 Amp, 125/250 Volt female connector is designed to be used with any of the 50 Amp power inlets from ParkPower. Built with high quality, corrosion resistant materials. Use with Park Power 19082 cover for a weatherproof seal.